While average dollars lost to robberies have declined over the past few years, theft by retail employees continues – and averages a loss of 1.44 percent of sales annually to individual companies in the United States. Added across the U.S. retail economy, $46.8 billion was lost to shrinkage in 2017, according to a report by the National Retail Federation and the University of Florida. It’s an uncomfortable fact, but one you can’t afford to lose sight of. Don’t let your business become a statistic. If you’re not conducting thorough background checks of your employees, you’re vulnerable to losses like these. You may not always be able to predict the whims of customers – it’s somewhat beyond your control – you can control, even eliminate, the amount of loss you experience at the hands of dishonest employees. Insider crimes by employees can really hurt your business. In fact, they can cause it to fail. As many as 20 percent of business failures may be a result of employee dishonesty, including theft, according to the American Management Association. And if you’re a small business, don’t think you’re immune. 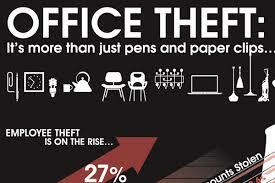 A new study by Hiscox, a global specialist insurer, found that small and midsize businesses were hit disproportionately, representing 68 percent of the cases of employee theft. In addition to thorough background checks there are other steps you can take to uncover and also prevent employee theft. Use tight accounting controls, including frequent audits, and make sure that all employees know this. Set a policy in which employees can report thefts and other crimes committed by co-workers confidentially and without fearing the consequences. Role model positive behavior and act in ways that reinforce the values of your business. Establish performance standards, reward loyalty and acknowledge hard work. Let eGuarded help you prevent threats from within your own business today! Additional accessories available. Contact 855-348-2736 for more information.